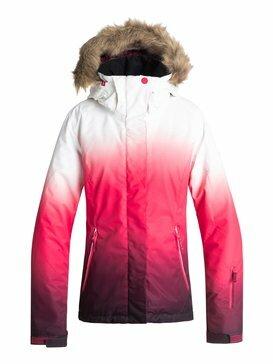 ROXY makes the best ski jackets for women because we’re passionate skiers just like you, and we understand first hand what it takes to create the highest quality women’s ski jackets on the market. 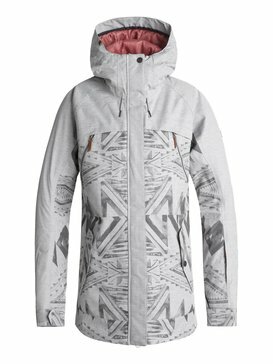 Nothing should ever hold you back from exploring and taking advantage of every mountain adventure which is why we design ski jackets that have innovative warmth technology, high quality materials, and essential features to keep your time in your skis moving full speed ahead. 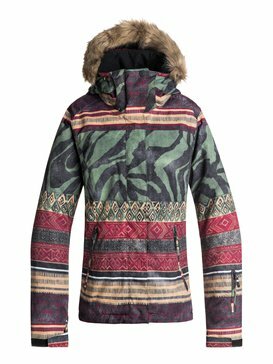 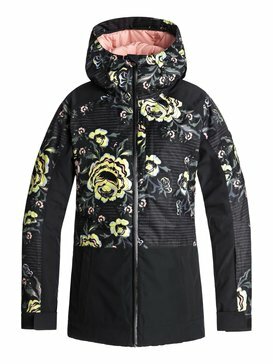 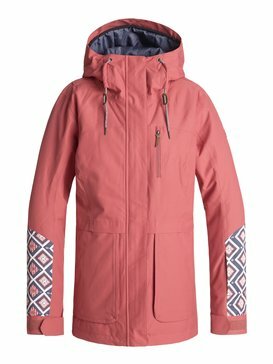 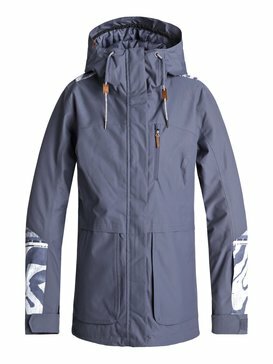 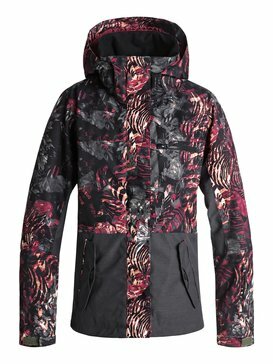 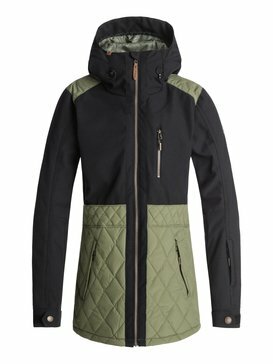 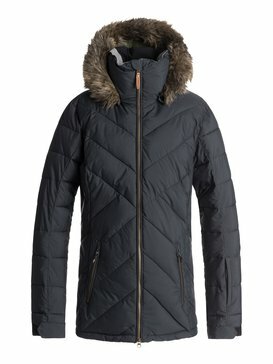 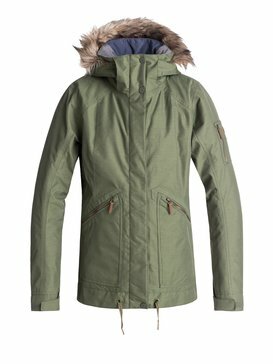 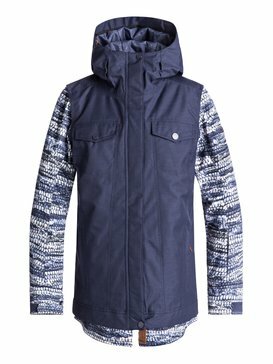 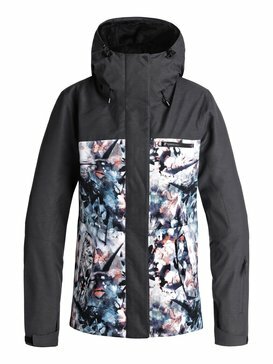 When looking to buy a ski jacket this winter season, ROXY has you covered. 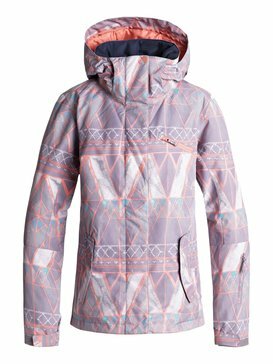 When it comes to designing high quality, technically efficient ski jackets for women, ROXY has it dialed. 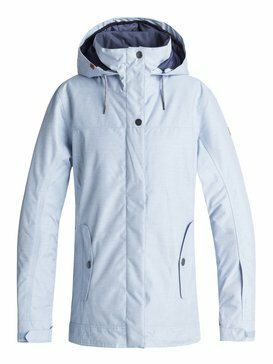 Our collection of women’s ski jackets and ski coats offers superior warmth protection that you can tailor to the conditions each day that you’re on the mountain. 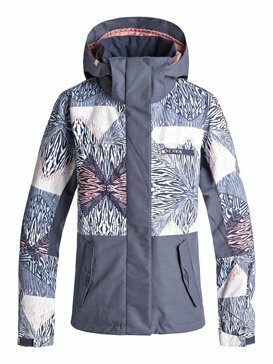 Having the flexibility to choose a ski jacket that is suitable for the weather saves you from a lot of discomfort once you’re on the mountain. 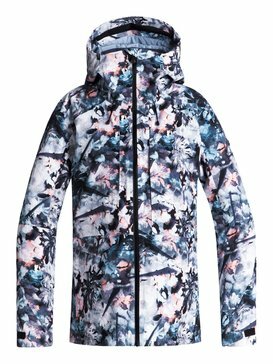 If you know the conditions are going to be extreme and the temperature is looking like it’s only suitable for ice cubes, you should pull your 20k ROXY ski jacket out to brave the elements. 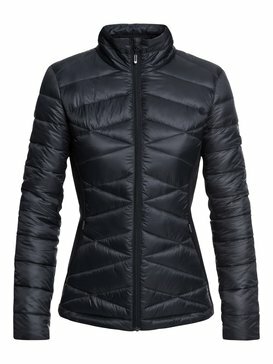 Our 20k jacket will fight the harshest winds & temperatures so you don’t have to. 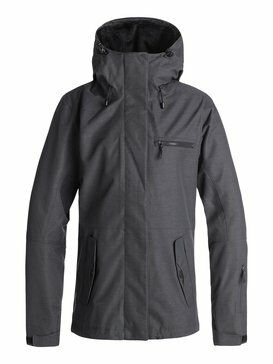 If the weather report isn’t looking dire, but still looks intimidating, we suggest a 15k jacket that can withstand a solid beating while still keeping you comfortable. 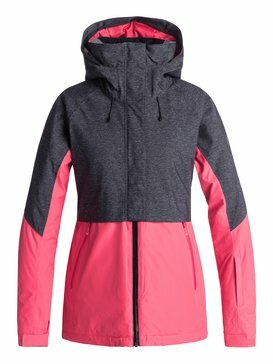 A 10k ski jacket is perfect for nasty winter weather and a 5k jacket is great for days when the weather doesn’t look bad, but you still want to be prepared for unexpected conditions. 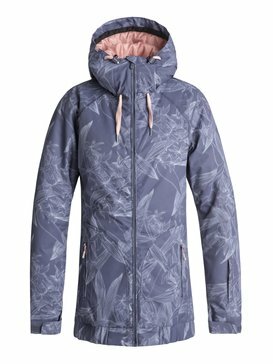 Along with the weatherproofing capabilities our ski jackets offer, we design a number of our ROXY ski jackets with Goretex. 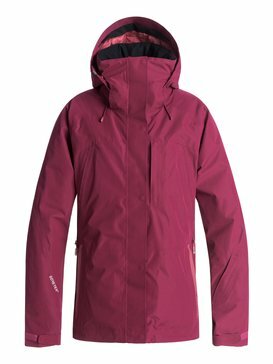 Goretex ski jackets are light, but don’t let the weight fool you. 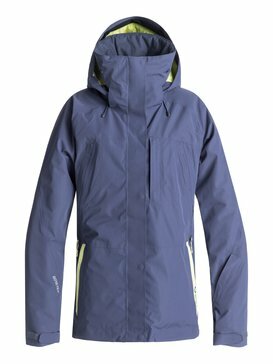 The Goretex material is top of the line when it comes to water and wind proof technology. 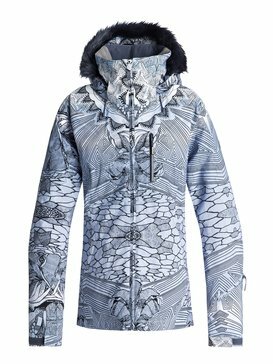 We take our time to design all of our women’s ski jackets with the latest and greatest technologies so all you have to focus on are your skills. 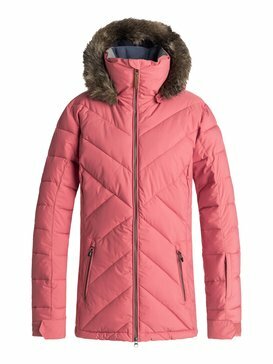 What woman doesn’t love a few extra frills when it comes to her clothing? 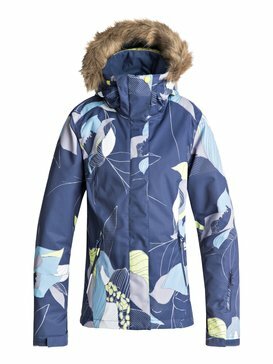 Our women’s ski coats and ski jackets are designed to not only be fashionable, but with a wealth of bonus features to keep them fully functional for your day on the mountain. 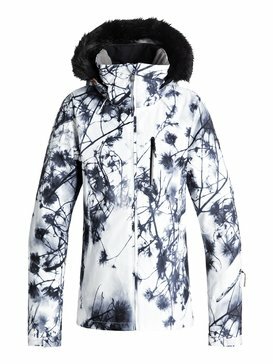 The lift pass pocket is one of our favorite features, making it a breeze to ski through the line and onto the chairlift without having to take off your gloves or fumble in your pockets. 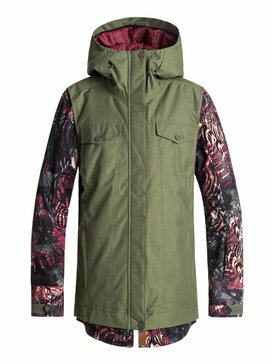 You’ll find the goggle pocket a great asset for days when you need to switch out lenses to accommodate shifting light conditions. 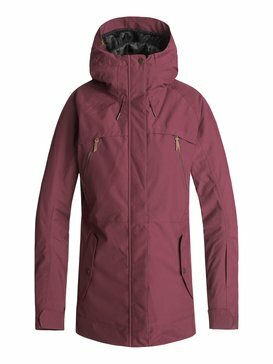 ROXY women’s ski jackets have internal pockets so you can keep your personal belongings safely stored while you enjoy each run, and our jacket to pant attachment system allows you to keep yourself connected so you can ski as one unit in comfort. 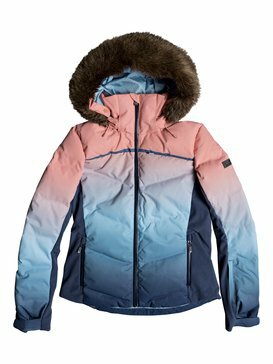 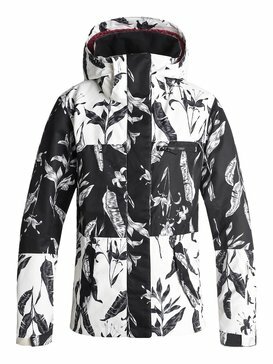 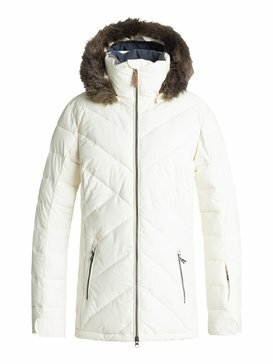 When it comes to cool ski jackets for women we are leading the charge, join us. 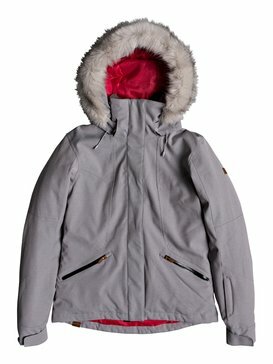 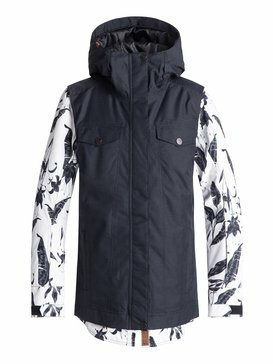 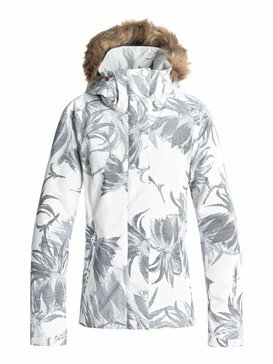 Visit ROXY’s online store today and buy your favorite women’s ski jackets. 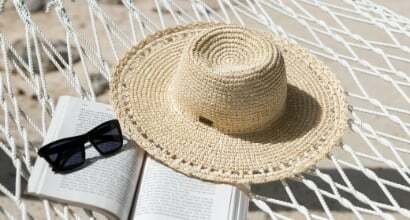 That’s right, plural. 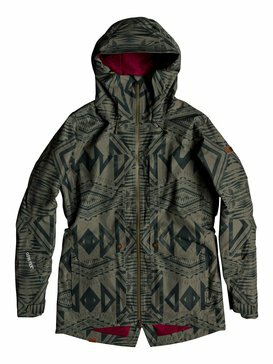 We equip you with options so you don’t show up at the mountain unprepared for the winter weather. 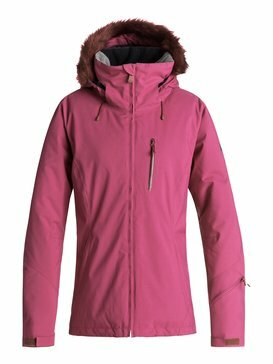 Our convenient online store makes your shopping experience simple and our free customer service help line is readily available to answer your questions via live chat, phone, or email, so you can make sure you’re getting the right ski jackets for you.